Our challenge this week from a fellow coach was to make an ATC. 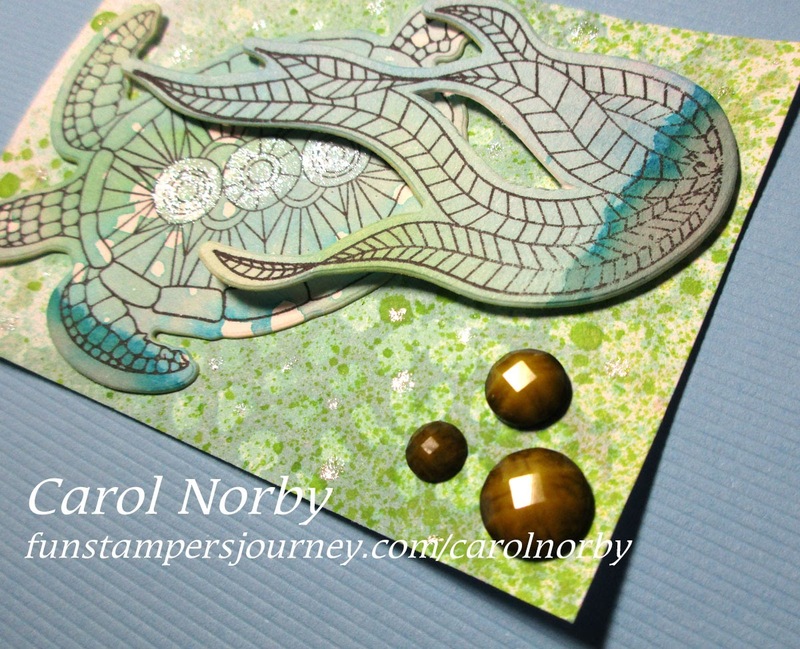 Since I had all those pieces from playing with my Gel Press a while back I chose one that reminded me of the blues and greens of the ocean. And that prompted me to use a stamp set with that theme, Turtley Awesome. I added a bit of Cool Pool and Electric Lime Splashes (I was testing all my Splashes to see if the sprayers worked, 1 was totally plugged) after cutting it into an ATC size on it. 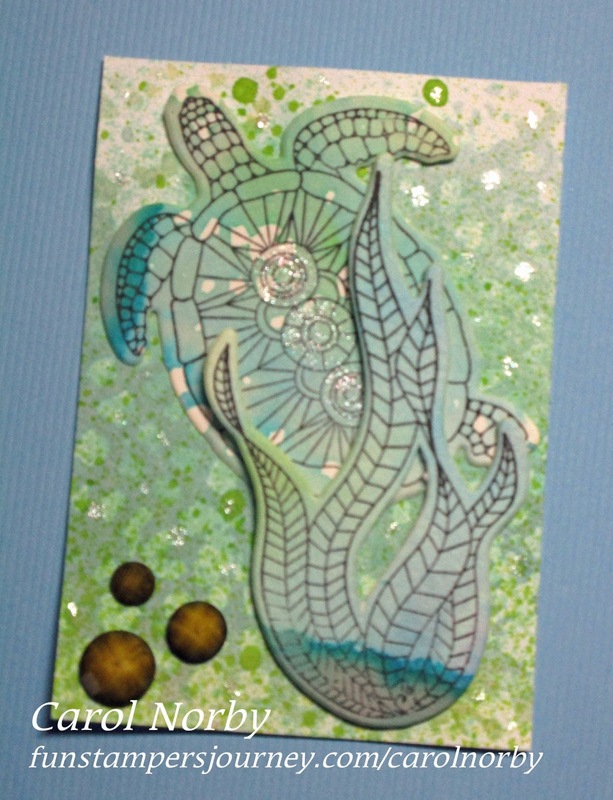 I then stamped the other half of the piece with the turtle and sea weed with Black Licorice ink and die cut on my Amaze machine. 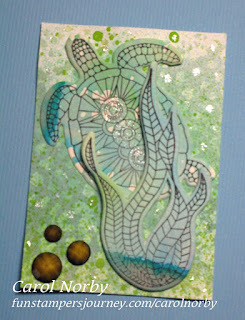 I added some dots of Sparkle Silk and colored the circles on the turtle shell using my small Blending Brush. After adhering the turtle with our Easy Glide Runner and the seaweed with Foam Squares I added the 3 Sea Stones to the corner. Though it doesn't show in the photo the Stones have a hint of green to them. This ATC was relatively fast to make since I had made up a bunch of backgrounds.